The purpose of marketing has always been to influence consumers to take action. In the past, marketers and businesses did it with print, television, and radio advertisements. However, times have changed. Consumers have become smarter buyers, and they have greater control over which advertisements they want to view. While content marketing shares the same goal as traditional marketing, it is subtler. Using valuable materials such as blogs, articles, emails, social media posts, and videos to inform, educate, and entertain, it seeks to draw consumers in instead of getting in their faces. 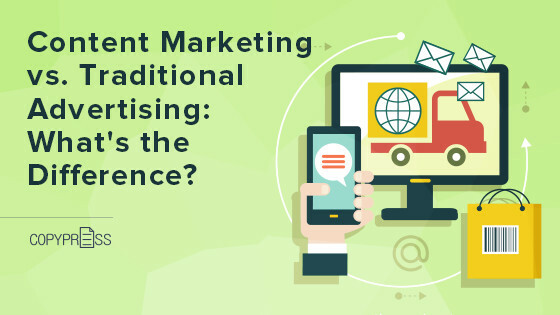 Discover the differences between content marketing and traditional advertising to determine which approach better suits your marketing needs and goals. Traditional advertising is an interruptive form of marketing that allows companies and marketers to reach out to consumers wherever and whenever they wish to. It can occur in many different forms, including newspaper ads, magazine ads, billboards, radio ads, television ads, and direct mailings. Traditional marketers push their marketing messages in front of a large number of people, regardless of whether or not they are interested in the messages. Unlike traditional marketing, content marketing is a permissive marketing approach. 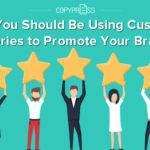 It involves creating valuable content to educate and entertain potential customers with the purpose of drawing them in. It also comes in a wide variety of forms, including articles, blogs, newsletters, emails, quizzes, infographics, videos, and podcasts. 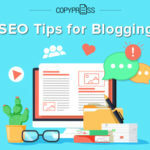 Content marketing enables you to offer more value to your potential customers and make them more appreciative of your existence, so that you can turn them into faithful, paying customers. It is the art of communicating with your target audience without selling. One of the main differences between content marketing and traditional advertising is that the former is permissive while the latter is interruptive. Content marketing gives consumers the freedom to seek out and consume their desired content whenever they want. This means that they have given marketers permission to reach out to them. Traditional advertising, on the other hand, often reaches consumers when they are doing something else, such as watching television, listening to the radio, or driving. It can distract people from their current activities or experiences. This marketing approach is also sometimes implemented in digital marketing efforts, such as pop-ups, social media ads, and pre-roll videos. Content marketing is currently the preferred marketing approach because it offers something valuable to consumers. 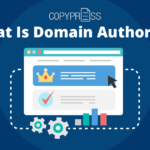 It can educate readers or viewers about a certain industry, teach them how to make the right purchasing decisions, or simply entertain them. This can lead to increased customer engagement and loyalty. Unlike content marketing, traditional advertising typically includes only information on the product or service it intends to sell. Although some traditional advertisements, such as Super Bowl commercials, also provide entertainment, their main purpose is to educate consumers on the products that are being sold, such as their benefits and the methods to purchase them. Content marketing seeks to earn its audience by giving something valuable. Consumers find and view your content because they want to do so. This means that they choose to be your audience, and you own them. In contrast, traditional advertising is usually aimed at a rented audience. Traditional advertisers pay money to media platforms with an existing audience to get their messages across to people who use those platforms. Purchased radio airtime, rented billboard spaces, and purchased PPC ads are some examples of platforms that are commonly used for traditional marketing. The disadvantage of renting an audience is that the audience does not belong to you, and you will eventually have to give it back once your paid period is over. Content marketing is intended to help you start a conversation with your potential customers. By sharing value and conversing with your customers on a consistent basis, you will establish yourself as a leader in your industry. As a result, they will trust your brand and eventually decide to buy from you. 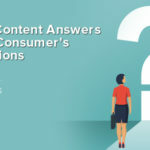 Content efforts that are effective in sparking conversations with customers include in-person events, webinars, and opportunities for user-generated content. Traditional marketing strategies, such as commercials, only allow you to have a one-way communication with your customers. They do not encourage or ask for an immediate response. Traditional marketers just put information about certain products or services in front of their target consumers and hope that some of them will make a purchase. 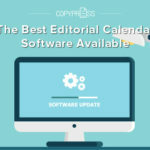 Another benefit of content marketing over traditional advertising is that it enables marketers to hone their marketing strategies in real time. Marketers can find out which content strategies are working and invest more time and effort in those strategies to achieve better results. This can be done using analytics programs that show different aspects of sales and marketing campaigns as they are happening, including purchases, clicks, and links. Traditional marketing campaigns are more static, because they are difficult to tweak while they are underway. This is especially so with television and print ads. Marketers have to wait until their campaigns are over before they can start analyzing the results and make improvements to their strategies. Cost is a major consideration when it comes to choosing a marketing strategy. When you compare the costs of content marketing and traditional advertising, you will find that the former is significantly more affordable. According to an article published in Forbes, content marketing is 62 percent more cost-effective than traditional marketing and delivers three times as many leads. 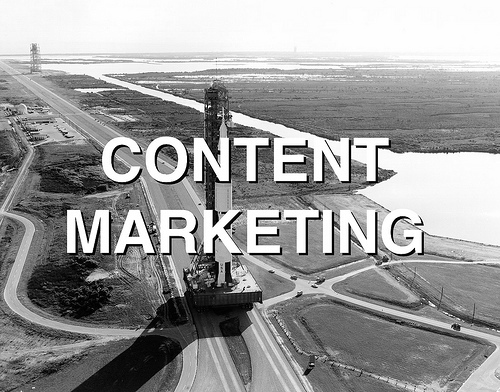 Content Marketing vs. Traditional Advertising: Which Should You Choose? When you are choosing a marketing strategy, there is no doubt that you should implement content marketing. It is more effective, easier to accomplish, and more affordable. Nonetheless, this does not mean that you should ignore traditional advertising. The best marketers are those who are able to seamlessly integrate their inbound and outbound marketing strategies. Create a multichannel marketing strategy that uses content to narrow down prospective customers to a specialized group and then employ traditional marketing tactics to convince them to buy from you. Whether you choose to reach your target audience with blog posts, advertisements, newsletters, emails, billboards, or flyers, you are still sharing content. While content marketing and traditional advertising both involve the use of content, they have different fundamental principles, benefits, and effects on consumers. In order to create a winning marketing strategy, you need to use an omnichannel approach that enables you to leverage the unique benefits of content marketing and traditional advertising.